In the overwhelming majority of smartphone apps that would be either iOS or Android. If the programmer isn’t using a cross-platform kit, then he or she develops the app employing a native programing language. As native apps are designed for a selected device and iOS, hence they can take advantage of operating system features and other software that is significantly installed on that platform. To develop a native app, developers need to program the source codes in a language like C and supply multimedia content like pictures, audio files etc. Native apps are usually the primary option which comes to mind when developing an app. Some of the important advantages and disadvantages of native app are listed below. One of the most effective benefits of native apps is performance. Mobile Games and different interactive select the native approach because they need low latency levels. This enables even the foremost processor-intensive apps to be successfully used on a regular basis. 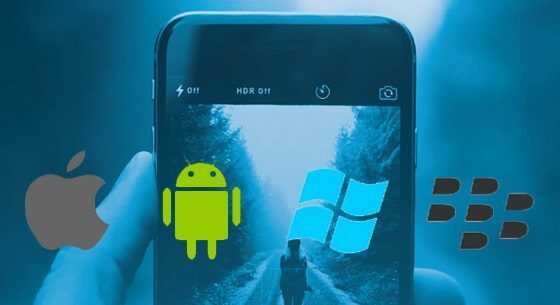 Since they’re developed specifically for a given operating system, native apps are quicker and more refined than hybrid apps. Since a native app works on the operating system of the device, it’s able to make use of the capabilities that are available to it. With native apps, you can build the foremost out of the functionalities offered by mobile devices, for example, calendar, camera, even push notifications, microphone, GPS, and plenty of others. This helps to make experiences that are more contextually relevant and gratifying for users. Android and iOS apps provide a natural experience for their users by following specific UI standards shared by apps developed for these platforms.This manner developer be able to make sure that app’s interface and navigation are going to be simple to understand for users. Native apps automatically inherit the operating system’s user interface. Out-of-the-box native apps therefore look and feel a lot of like an integrated a part of the device. Boosts user security and safety. Native apps are accessible completely through app stores. These apps typically need to be approved by the app store wherever they’re going to be downloaded before they can be offered to users. This implies they are typically tested completely before being offered. Developing a native app involves additional work and time than making a useful hybrid app. You’ll need to hire additional developers for the work and make sure that they possess the abilities and skills needed for developing apps for various operational systems. Some of the important advantages and disadvantages of native app are listed above. To reap the native app benefits, select the best native app development company who provides customized native app development services at pocket-friendly prices.